Learn how CCBCC improved visibility across service management, spare parts procurement, and equipment life cycle management using IBM Sterling B2B Integrator. CCBCC’s business was running on a multitude of different technologies. Manual searches and information delays were creating operational bottlenecks and business inef ciencies. CCBCC would manually enter the equipment services work order into their legacy system when work orders arrived via phone or fax from their customers. This process was time consuming and open to error, and so CCBCC began to question the potential cost of these errors. CCBCC needed to quickly accept and return information electronically without error and focus on software replacement as a means to improve cross-application and system integration. They needed a exible and robust system to integrate internally with SAP as well as other existing systems. 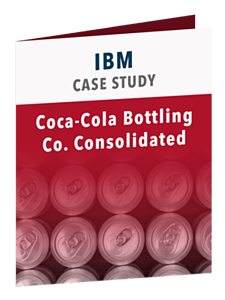 In this case study, you'll learn how CCBCC improved visibility across service management, spare parts procurement, and equipment life cycle management using IBM Sterling B2B Integrator. Please complete the brief form on this page to receive the complimentary case study from Lightwell and IBM.